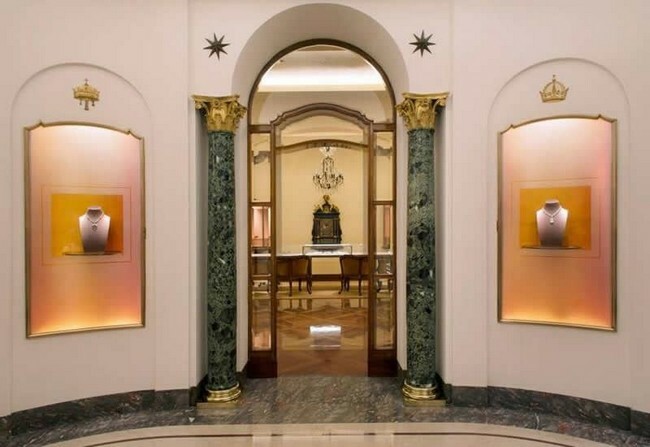 Recently AWAR (The American Women’s Association of Rome) had the privilege of taking a small (only twenty members) private tour of Bulgari’s Heritage Collection. I RSVPed the minute I read the invitation. I haven’t been inside the store since the Peter Marino renovation. One morning, when I was jogging up Via Condotti on my way to Villa Borghese Park, I’m positive I saw the architect walking out of the store. Who else would be wearing that outfit at 8:30 in the morning, in Rome? 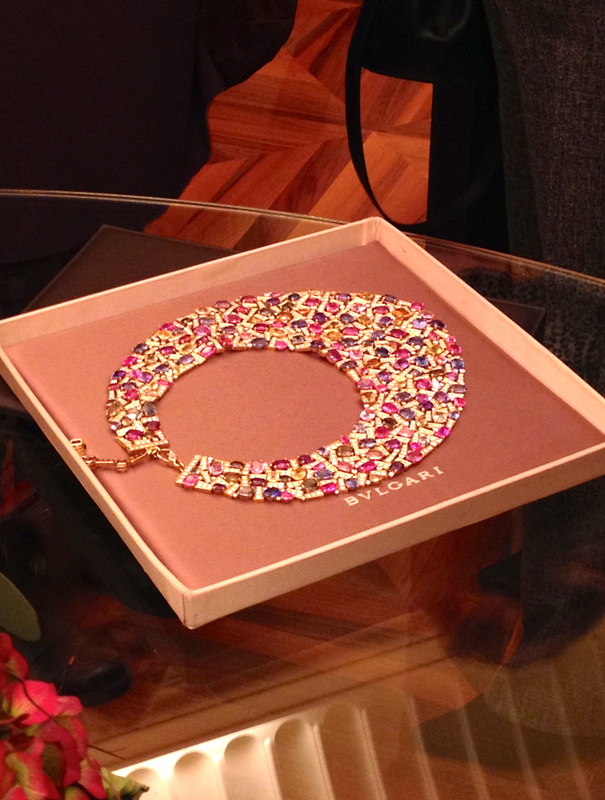 Bulgari was founded by Sotirios Bulgaris in Rome one hundred and thirty years ago. The Heritage Collection is a celebration of this history. There are over six hundred unique pieces. 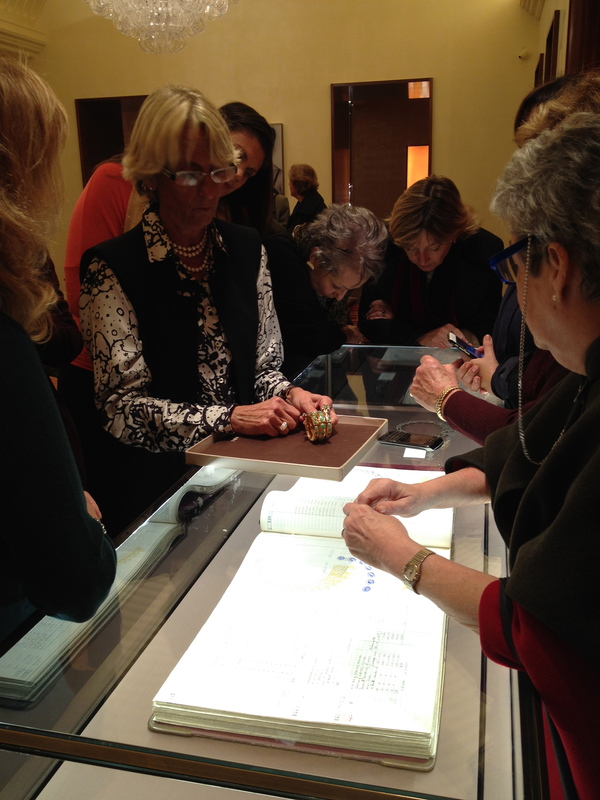 The jewelery, watches, accessories, and drawings were curated during years of research and archival work. 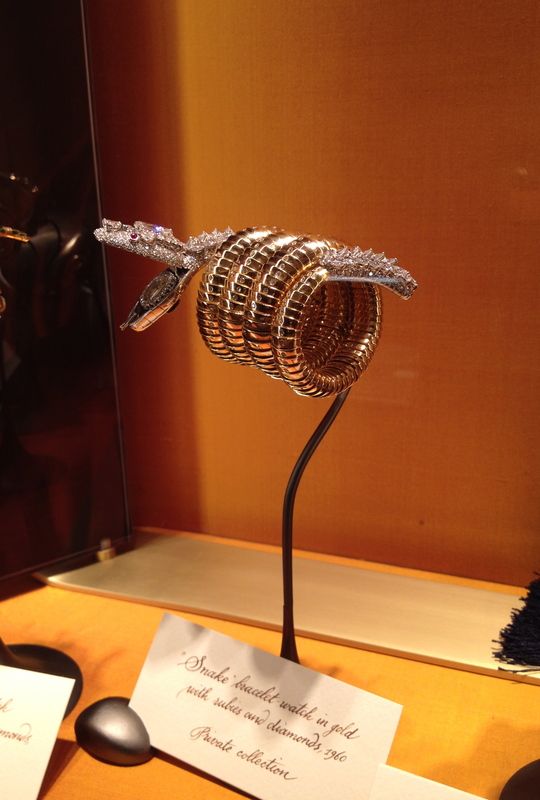 Bulgari has been buying back importance pieces from auctions and private collections. 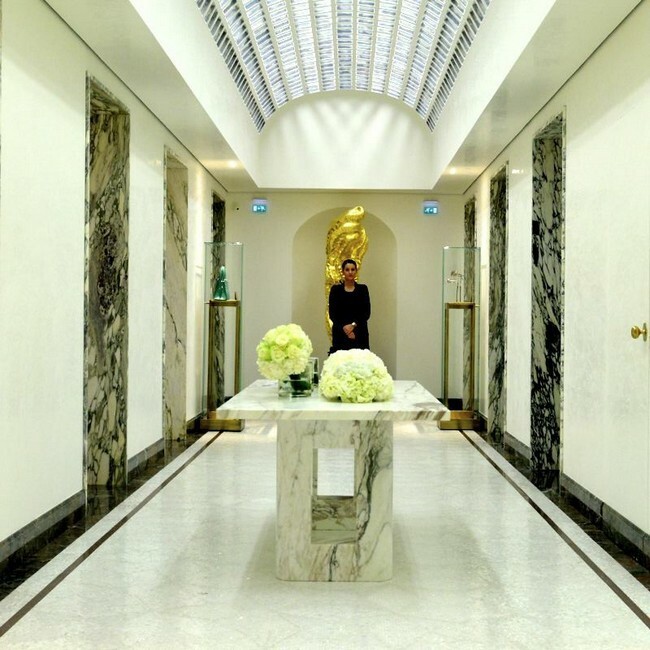 While Bulgari is part of the French high-end global powerhouse LVMH, the DNA of the company is Roman. DOMUS means home in Latin and that space (located on the second floor) is where you will find pieces from the Heritage Collection. The store is gorgeous. Marino, inspired by the Pantheon and other Roman masterpieces, modernized the flagship store without stripping it of its history and charm. The foyer on the first floor. Nods to the Pantheon in this circular space. 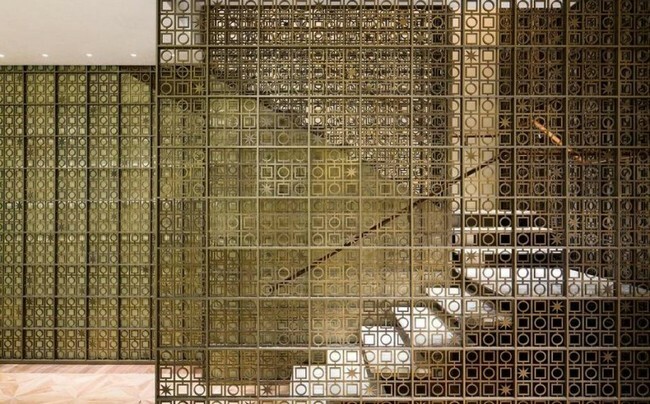 The back stairs that lead to Domus. That pattern. This floor and that table. No words. 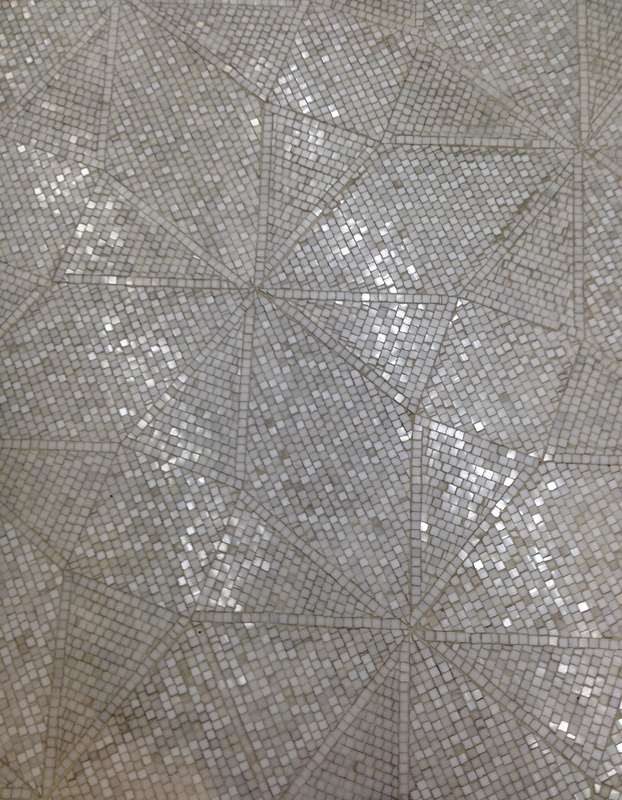 Here’s a picture I took of the floor so you can see the intricate tiling. Stunning. I gasped when I saw it. Caterina Riccardi, Bulgari Brand Heritage Special Projects, explains the connection between the Heritage Collection and the Eternal City. Ms. Riccardi was the Via Condotti store manager for over thirty years. Her tour was excellent, informative and entertaining. 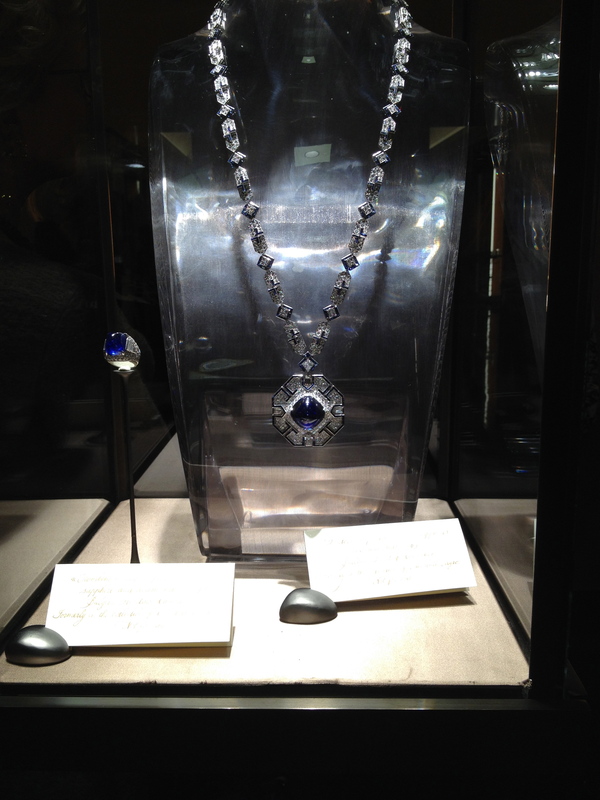 This sapphire necklace was bought from a private collector in the States. Be still, my beating heart. 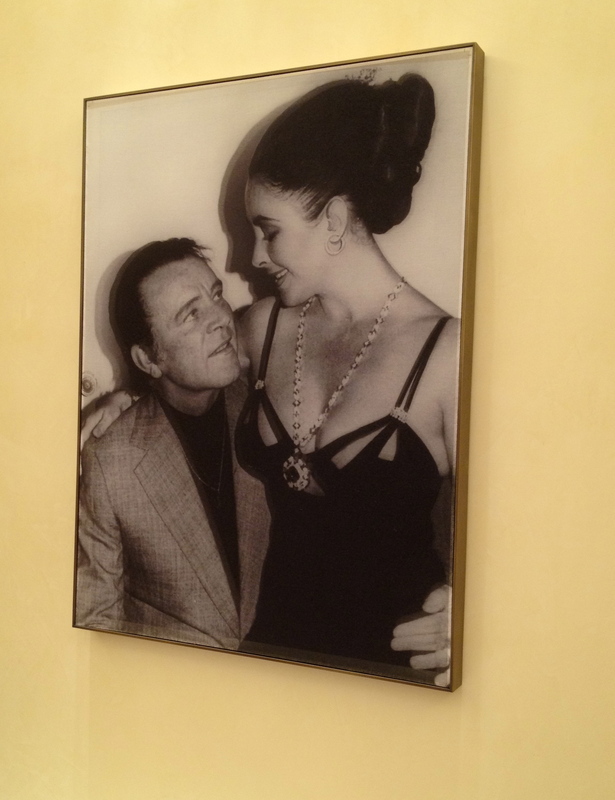 Richard Burton once said, “The only Italian word Elizabeth knows is Bulgari.” Burton gave Taylor this sapphire and diamond necklace and ring for her fortieth birthday. Actress Jessica Chastin wore the iconic necklace at the 2013 Cannes Film Festival. She was the first person to wear it since Taylor. From 1960, a gold watch bracelet with diamonds and rubies. I do not like snakes but I’d make an exception for this one. This is just a little taste of the incredible pieces in this collection. I was inspired by the colors, the designs, and the craftsmanship. Other photos: Me and my iPhone.